Departure: Embarkation: 10.30 am, Mykonos Tourlos port or Ornos bay. Destination: Kato Koufonissi island. Experiment nature in all its grandeur. An inhabited island Kato Koufonissi is also knows as the “untouched island” has humans have not interfered with the work of nature. Next stop would be the unique and mesmerising island of Schinoussa. A tiny and remote island in the centre of the Aegean Sea, with isolate beaches, relaxing atmosphere, a perfect starting point to allow your sense and body to relax and to start off your 4 days 4 nights charter. Schinoussa island: The main and only village of Schinoussa is where most taverns and shops are found, for you to visit and explore. the slopes of a rock with breathtaking view to the sea. 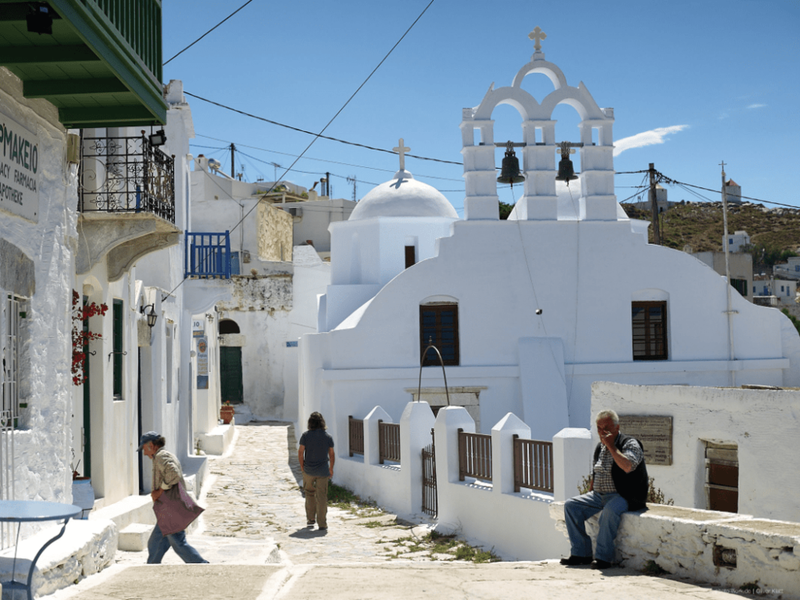 A walk in Chora and the other villages of Amorgos will be unforgettable. Destination: Santorini island. Santorini is among the most romantic destinations in the Greek islands. Santorini Island was the site of one of the largest volcanic eruptions and what remains today is a submerged volcano and a caldera. Amazing villages has been constructed on the edge of this caldera, with Cycladic architecture and breathtaking view to the sea. Cruise down the bay of Santorini or Thira, whilst gazing at the amazing villages crested on the highest cliffs, discover her volcanic waters and swim in her hot Springs.